Do Physicians’ Perceptions of Drug Costs Influence Their Prescribing? This study examines general practitioner (GP) attitudes towards and knowledge of prescribing costs, and the influence of these 2 factors in the doctor’s demand for drugs. 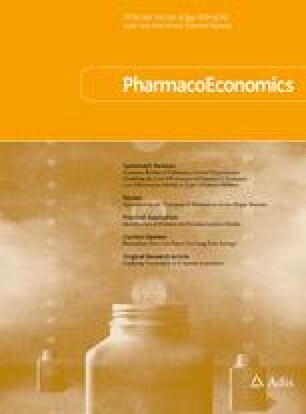 The main emphasis of the study is on the influence of perceived cost of drugs on prescribing habits. A postal questionnaire was sent to all 273 GPprincipals in the Grampian region of Scotland. This questionnaire assessed GPs’ attitudes and knowledge with respect to prescribing costs. Information was also collected on the prescribing habits of 176 of these GPs. This information was linked to look at the influence GPs’ knowledge of drug costs has on their actual prescribing behaviour. Three drug groups were studied: ulcer—healing drugs, pain—killers and penicillins. The results showed that although most GPs agreed that costs should be borne in mind when prescribing medicines, their actual knowledge of drug costs was often inaccurate. Furthermore, for certain therapeutic groups, prescribing habits are influenced by GPs’ perceptions of drug costs. This implies that GPs are not as averse to considering costs as is often assumed, and that giving GPs better information about drug costs might promote more rational prescribing.